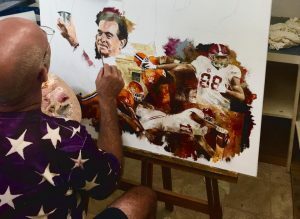 David Gwin, a well-known art collector and Alabama Football supporter, asked the artist to create a painting of the five most famous and successful Alabama football coaches in history! 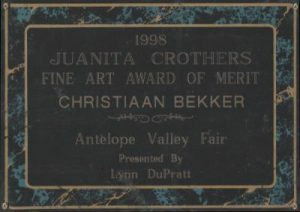 Therefore the artist, Christiaan Bekker, created this amazing painting on a canvas of 46″ x 36″ in size. 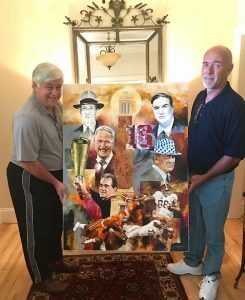 They won 16 championships all together. 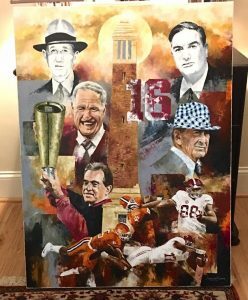 Demonstrated are Bear Bryant, Wallace Wade, Frank Thomas, Gene Stallings and Nick Saban. Do you want to see how it was made? Watch the video!